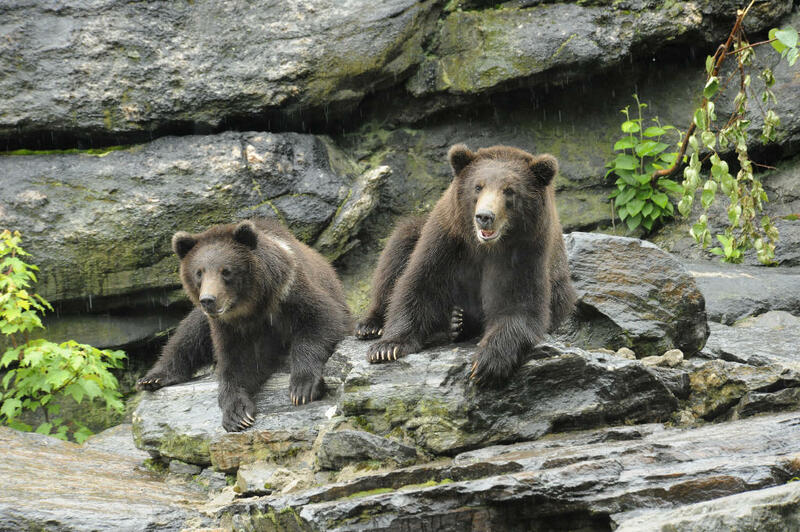 Brown and grizzly bear cubs at the Bronx Zoo. THE ZOO continues to enthrall viewers with a behind the scenes look at the world-famous Bronx Zoo, focusing on powerful and compelling stories of animals and their keepers, and the zoo's mission to conserve wildlife around the globe. THE ZOO features the expertise of zoo staff and how their skills come together to provide the highest quality of care for the animals. Every episode, we are reminded of the knowledge of the amazing team working at the Bronx Zoo. For more information on animals featured on the show, visit the Bronx Zoo's page on our series. There, you'll get the latest from the folks who know the animals the best. Jim Breheny, Director of the Bronx Zoo and EVP of Zoos and Aquarium at the Wildlife Conservation Society said: "Animal Planet's The Zoo gives viewers an opportunity to see what happens every day at the Bronx Zoo, presenting an uncontrived and unscripted look at how we go about caring for the animals and linking our work at the zoo to preserving species in the wild." You can get special insights from Jim during premiere episodes on Twitter @JimBreheny. The Bronx Zoo, located on 265 acres of hardwood forest in New York City, is one of four zoos and an aquarium in New York City managed by the Wildlife Conservation Society. It is accredited by the Association of Zoos and Aquariums (AZA). You can help with the Bronx Zoo's mission by going to their website.